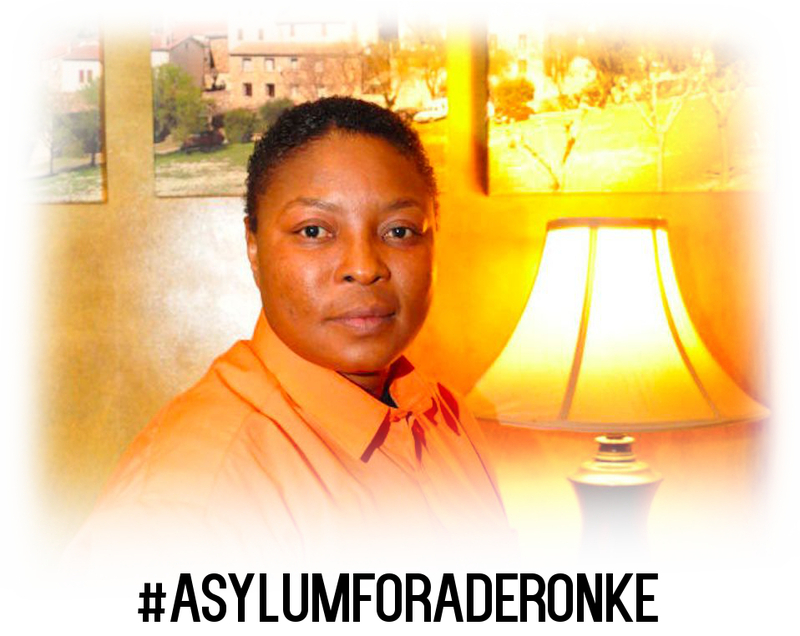 Aderonke is an LGBT activist and lesbian woman from Nigeria seeking asylum in the UK. After waiting 10 years for her case to be decided, it is time for Aderonke to submit all her documentation to the High Court for referral to judicial review. This is a crucial time and with the backing of over 24,000 people who have signed a petition to demand the UK grant Aderonke asylum, it is also time to put these words into action with the delivery of this petition to the Home Office, including a public display of support at two simultaneous demonstrations. Sign the petition, if you haven’t already. Donate whatever you can to help with printing and postage costs of the High Court documentation, plus extra costs of the demonstrations. Come out to the demonstrations in Liverpool and London on Friday 11th April when the petition will be delivered to the Home Office. Meeting 13:30 Liverpool Lime Street Station, on the steps facing St. George’s Hall. We will march to UK Visas and Immigration on Union Street to hand in the petition and show our support. Manchester Migrant Solidarity will arrange transportation from Manchester and/or will cover travelling costs for those who need it. We will also be holding a banner making session before Friday. For more info please contact:manc.misol@gmail.com or call/text 07466850588 (free for Lyca). Share all of this with your friends! If you can’t make the demonstration or you are able to donate, then you might have a friend who can! Next All Out for Aderonke on 11th April!